The Dolce and Gabbana had embodied the spirit of bullfighting and flamenco polka dots in spring 2015 ready to wear collection. 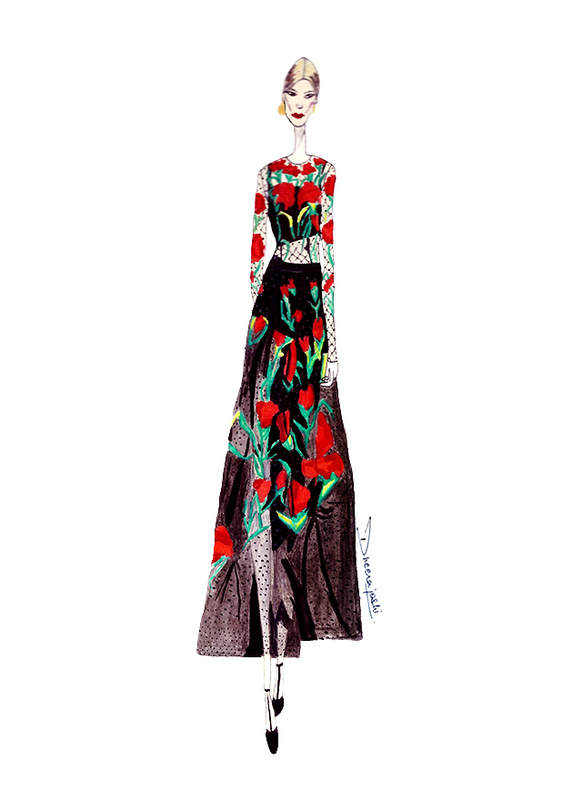 Here is the illustration of blood red carnation embroidered on the lace dress from the collection, which, caught my eye; it was hard not to like it.Hope you like it! !